I would like to invite you to join me on my next Bali Retreat Adventure this November. Following on from the posts I wrote from my last Bali Retreat (The Beauty of Detox in Bali & Truly, Madly, Healing) I am excited to share the new retreat format with those who would like to take their retreat experience a little deeper. 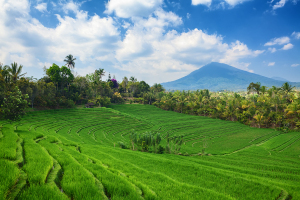 From my many years of traveling to Bali to run my healing retreats, I have fine-tuned and expanded my program to bring in the very best that Ubud has to offer. Ubud has developed into a central healing mecca – with the most incredible raw food, juices, teas, tonics, and elixirs available – as well as an abundance of world-class practitioners to call on to facilitate certain aspects of the retreat. The development of my own practice has called me to take the retreat to a new level, and I am answering that call with the depth of knowledge that comes from my own experiences, which I have woven into the retreat in a way that will empower you beyond anything you have encountered before. I’ve put together a very select and detailed program which is nurturing and supportive, and will take you on a journey that is not just healing, but indulgent and inspiring as well. You will have the opportunity to go deeper than in the past, exploring not just the physical aspects of healing, but having the option to explore hidden elements that can affect emotional and spiritual health. With the retreat being held in the most beautiful of locations, you can relax into the experience and enjoy the visual beauty that surrounds you. • Energy meditation with Ernest Hariyanto & the option for individual clearing sessions which are profound if you are looking for major life insights & shifts. This is going to be a very exclusive and special experience, and as November is not that far away, if you have any interest at all please send a quick email to info@embracinghealth.com.au so that I can register you immediately. I only have ten places on this retreat, so you will need to act quickly if you would like to join me. I am so thrilled to have the opportunity to share this experience with others that I believe will really appreciate the depth of healing we will go to in this retreat experience. I look forward to hearing from you, if you are up for the challenge and ready to rediscover your best self. Bali is really a beautiful place, perfect place to cut from world and meditate for sometime. I tried it once for 7 days and it really works. Enjoy the nature. Bali is a one of the beautiful place in Indonesia. Bali have a good culture and art. Network Design and Consultancy, Structured Cabling System, Network Configuration/ Implementation, Servers, Switches, Routers, Firewall, WiFi etc. My name is Polly, and I’m a full-time blogger. I came across this pagehttp://www.embracinghealthblog.com/ I like your blog and have a question. Do you accept Sponsored Posts? If you do, then what is your price? great article and liked it.